We may have been around for 116 years, but Mack Trucks is no stranger to innovation – we embrace it. The industry-leading Mack® mDRIVE™ automated manual transmission (AMT) is now offered as standard on all Pinnacle models, and the Mack® mDRIVE HD™ is offered as standard on all Granite and Titan models. On top of an average 1 to 3 percent improvement in fuel efficiency for highway applications, the mDRIVE eliminates the manual shifter and clutch pedal, letting you concentrate on hauling your load instead of what gear you’re in. 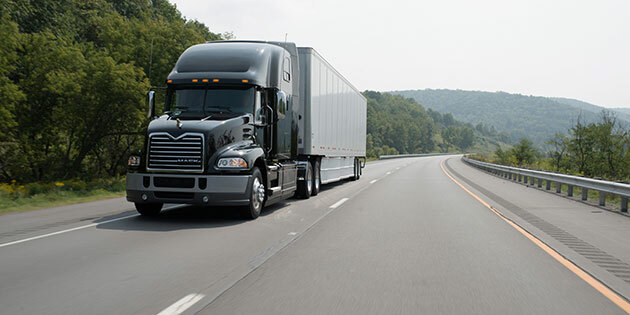 Making the truck easier to drive can potentially lead to lower driver turnover and cut down on recruiting and training costs. Whether your truck is AMT-equipped or not, it’s critical to be sure your clutch keeps working with the rest of your transmission components as perfectly as it did the day your truck rolled off the assembly line. There’s no better way to do that than to install a Mack Genuine clutch, engineered to meet Mack's manufacturing tolerances and exacting specifications. And we don’t stop there. Mack Genuine clutches are rigorously tested in our lab to handle engine torque to your heavy-duty Mack’s transmission, driveline and axle, and are then field tested with the entire truck on the road in extreme conditions for two years. Shock-absorbing springs constructed of high quality steel, which is strong but also flexible. This balance leads to optimal vibration absorption, protecting the gears from wear and tear. A splined hub, which allows the clutch to move back and forth on the shaft and cut down on drag torque during gear shifting. Friction devices in the clutch disc increase resistance in the hub unit and dampen the vibration peaks when the disc runs through the driveline vibration area. Replacing individual clutch parts can be time consuming and costly. The components of each Mack Genuine clutch are designed and tested together for a precise fit in your truck, which can reduce downtime and help get you back on the job more quickly. Call the transmission experts at your nearest Mack Trucks dealership to discuss the benefits of installing a Genuine clutch, or consider a clutch plus Concentric Clutch Actuator.